Bitsie George has always dreamed of owning her own bakery, so when she finds herself suddenly single after 27 years of marriage she jumps at the chance of fulfilling her dream. The only drawback to her new life as a baker is the dead electrician in her kitchen. Was he the victim of a tragic on-the-job accident, or is there something much more sinister afoot? It’s up to Bitsie to find out with a little help from her sister-in-law Liz, her recently-retired-from-the-police-force brother Stan and her too-handsome-to-be-real shop assistant Jack. 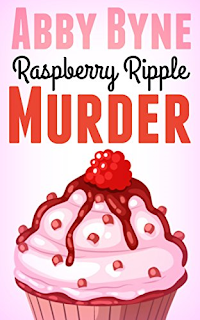 It’s not easy finding a murderer when your most compelling clue is a half-eaten raspberry ripple cupcake, but perhaps a pleasantly-plump cupcake connoisseur is the perfect woman for the job. 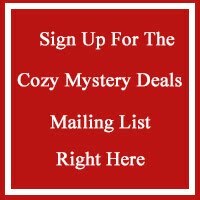 This novella-length culinary cozy will take a reader of average speed about 2 hours to finish. As a bonus, the first chapter of the next title in the series: Cherry Chocolate Murder, is included at the end, so the automatically-generated page estimate is a bit inflated.